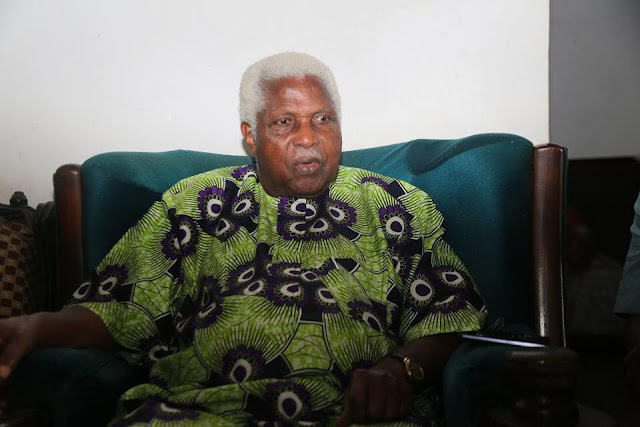 Alex Ekwueme, the first elected vice-president of Nigeria has died at a London hospital at the age of 85,, a statement from the family has said. According to the family, he died at around 10:00pm on Sunday in a London hospital. The statement said: "Ekwueme family regrets to announce the peaceful passing away of their patriarch, the former Vice-President of the Federal Republic of Nigeria Dr. Alex Ifeanyichukwu Ekwueme, GCON. "The sad event occurred at the London Clinic at 10:00 pm on Sunday 19th November 2017." Ekwueme, Vice-President between 1979 and 1984, had collapsed in his house in Enugu, and was immediately taken to Memfys Neurosurgery Hospital, and was later flown to London where he died last night from chest infection.